Today marks the 111th anniversary of Linus Pauling’s birth and what better way to mark the occasion than by announcing the recipient of an award named after Dr. Pauling? 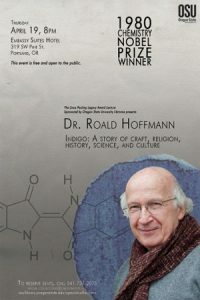 As part of the celebration marking Hoffmann’s acceptance of the decoration, he will be delivering a free public lecture in Portland, OR. Seating is limited and we suggest that individuals or groups interested in attending reserve seats. To do so, please contact the Special Collections & Archives Research Center at special.collections@oregonstate.edu or 541-737-2075. This entry was posted in Main Page, Special Collections on February 28, 2012 by edmunsot. You may already know Oregon’s stadium and field are both named after Oregon State alums, but did you know there were talks about building a shared stadium for the arch-rivals?? By June of 1952, over $300,000 had been raised to build a new football stadium next to the impressive Gill Coliseum, the future site of Parker Stadium (yes, it’s now Reser for those who go on a walk to check). Old Bell Field was worn out, and the football team–and its fans– desperately needed a new home, so the money was raised to build it, and fans eagerly awaited the new stadium. A proposal mulled around by the state board of higher education about the possibility of building a joint stadium for the two schools, perhaps in Junction City, halfway between Corvallis and Eugene. On paper, it seemed like a good idea; one facility could house ten or eleven games per year rather than just four or five, potentially saving the state a lot of money. Furthermore, one facility meant half as much maintenance required, and with combined school effort, a builder stadium could hold more fans. Fortunately for fans of both schools, reason won out, largely because of the students. Collegiate athletics heavily involved the students in various capacities, from student athletes to required attendance by the freshman class. Both teams already had the occasional game in Eugene, but the removal of ALL home-games from proximity from campus would have doomed student participation, especially in an era less prone to the ability for students to travel and sacrifice their studies. These student factors combined with a fear of increased gambling and the problems involved with the $300,000 already earmarked for a Corvallis stadium. 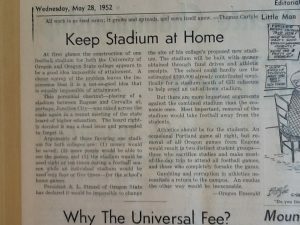 Fundraising figures and information about the board of trustees discussions were taken from “Keep Stadium at Home,” May 28, 1952, The Daily Barometer. The article was a reprint of an earlier article published in the Oregon Emerald. This entry was posted in Main Page on February 27, 2012 by edmunsot. Loose leaf from a Gregorian chant book, 1400s. 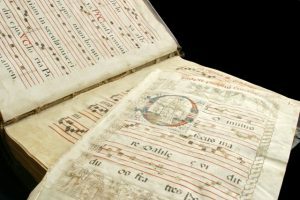 The Mary McDonald Rare Book and Manuscript Collection provides the Oregon State University community with access to a wide range of rare and valuable manuscripts, books, and prints. 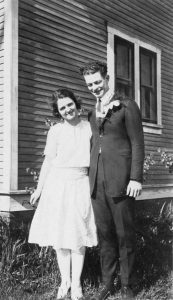 The McDonald Collection contains items from both the sciences and humanities collected by Mary McDonald and Oregon State University for their historical significance and craftsmanship. This exhibit makes available the collection’s most striking items through a narrative history of the evolution of text production from approximately 3000 BCE to the 20th century and features examples from many of the world’s most important intellectual and technological advances in printing. Want to know more? Click through and read up! This entry was posted in Announcement, Exhibit, Main Page, Special Collections on February 24, 2012 by edmunsot. SCARC on Pinterest? Oh what fun! We got pinned! For those who thought we’d hit a social media development wall, fear not … OSU’s Special Collections & Archives Research Center has hopped on the Pinterest bandwagon! You can find us at https://pinterest.com/SCARCpinned/. Lots of people use Pinterest to get inspiration for the most important projects in their life. People use Pinterest to plan their vacations, redecorate their homes, and create menus for holiday dinners. But you may have noticed that we tend to like pictures — especially those old ones — and delight in using Pinterest to share our treasures, our finds, and our fabulous photos. Questions? Ask Tiah @ tiah.edmunson-morton@oregonstate.edu. This entry was posted in Main Page on February 17, 2012 by edmunsot. Although the trees and bushes are bare in our region, foodies everywhere will delight in our new Flickr Commons set “Food Science and Technology.” Deliciously chock full of fruit testing and tasting, Food Science students, canning machinery, berry growers, canned and fresh veggies. And my favorite? The pics of dehydrated shredded potatoes and beef, of course. Food Science and Technology Department Records (RG 176). This entry was posted in Flickr Commons, Main Page on February 16, 2012 by edmunsot. This entry was posted in Main Page, Special Collections on February 10, 2012 by edmunsot. 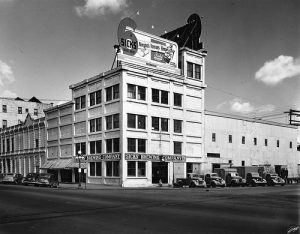 Gosh golly — from the theater department to Willamette Valley hop fields, our new Flickr Commons set “Hop on ! Brewing & beer” is a great glance into the harvesting, production, and consumption of beer! Want to know more about beer brewing at OSU? Check out the Food Science and Technology Department Records (RG 176) and the Agricultural Experiment Station Records (RG 25). 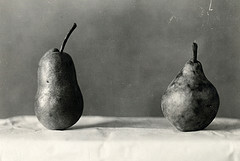 This entry was posted in Flickr Commons, Main Page on February 1, 2012 by edmunsot.